Whether you suffer from dry, greasy or simply burnt-out hair, this guide may help you bring back its old shine and choose the best professional shampoo for damaged hair. Taking a look at a great variety of hair-repairing shampoos, it was nowhere near easy to find the best professional shampoo for damaged hair. However, considered many factors which would contribute to shinier, healthier and thicker, we compiled eight shampoos that sufficed our criteria. Why does hair get damaged? How to treat damaged hair? It’s no secret that treating your hair properly can get extremely challenging. We often expose our hair to vast heat by curling and ironing it, while the beauty products we use may not benefit our hair as much as we think. With so many commercials and beauty brands out there, it’s hard to choose shampoos that can fix our hair problem. Fortunately, we compiled a list of the best professional shampoos for damaged hair. On their quest to look beautiful and enchanting, women use different techniques to make their hair stand out. Some of these things include perms, extensions, highlights, coloring and much more. Additionally, hair suffers a great deal of damage when exposed to heat by curl and straightening irons as well as blow driers. Despite the promise of many manufacturers that hair irons have more robust and hair-safe designs, it still comes to hair breakage, and it feels weak, dry and thin. According to WebMD, every hair consists of three layers. The medulla consists of inner fibers and is surrounded by the cortex. Lastly, the cuticle is the outer layer which surrounds and protects the inner parts of hair that are more sensitive. Our hair grows around ¼ inch averagely per month. The hair from a follicle on the head can keep growing for as long as six years. After that, it’ll fall off as part of the natural cycle of hair, making space for new hair to grow. The growth rate of our hair depends on the growing cycle of it. For example, not all hair will grow for six years. Instead, hair with the shorter natural cycle of hair will have their hair grow at a shorter length. Additionally, larger hair follicle means thicker hair, while narrower follicles result in thinner hair. There are also other reasons behind the hair breakage which may surprise you, some of them include braids, ponytails, over-brushing, and over-shampooing. The hair tied in a ponytail or a braid is even more exposed to breaking when the hair is wet and thus more fragile. On the other hand, over-brushing causes split ends on the long-term, while low-quality brushes cause snags and tangles which are hard to brush off, causing even more hair breakage. When we wash our hair, we use the shampoo to clean the scalp and remove oils that buildup in the hair throughout the week. However, over-shampooing can cause more damage than good, because it can wash away hair’s natural moisture, leaving hair looking dry. There are several ways to treat damaged hair without spending an excessive amount of money. Experts recommend a lot of homemade recipes which can ease the symptoms of damaged hair such as aloe vera, coconut oil, olive oil, and apple cider vinegar. However, although there are proven benefits of using these ingredients, they are not a permanent solution. In case you dye your hair, experts recommend “staying in your shade,” which means using a color that stays within three shades of your natural color so that the hair can easily adjust to a change. Additionally, it’d be safer to dye hair less often to avoid damage caused by bleaching. Experts advise waiting between at least eight to ten weeks to dye your hair again. Lastly, to retain the beautiful shine and texture of your hair, it’d be the best to use a color-safe shampoo and conditioner which have optimized pH value to keep your hair healthy, allowing your color to last longer while keeping your hair healthy and lively. Below, we listed the best professional shampoo for damaged hair. Read on! What are the Best professional shampoos for damaged hair? This shampoo will reawaken youth to your hair and make it shine brightly just like it used before. The shampoo is equipped with a combination of different healing oils and extracts that cleanse the scalp entirely and get rid of the greasiness. 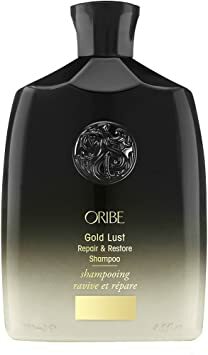 The shampoo packs different restoring elements, such as Oribe Signature Complex made of Watermelon, Lychee and Edelweiss Flower Extracts which successfully defend hair’s layers from oxidation, photoaging and keratin deterioration. There’s also Amino Acid Complex which works as proteins in the hair’s cortex and rejuvenates its natural moisture while repairing the damage in the cuticle. The only flaw of this product is its heftier price-tag. However, the effects it has on the hair are imminent and worth it, with first improvements visible after just a week. Also, the $49.00 bottle will last much longer than other low-range shampoos. There’s no doubt it’ll become your new favorite shampoo. This duo that consists of a shampoo and a conditioner promises to heal your hair within 21 days. Thanks to the essences of Argan Oil, aloe and sea kelp, the shampoo and conditioner will successfully treat damaged hair, returning it to its natural shade. The beautiful and natural scent of extracts of fizzy citrus, exotic spices, and vanilla last for several days after washing your hair. The duo is also ideal for hair that is falling off because it cleans the clogged pores in the scalp and gets rid of the unwanted oil. Furthermore, it especially flatters to curly hair that lost its shape. Lastly, the shampoo and conditioner contain 0% of parabens, and they are also free of gluten and colorants. 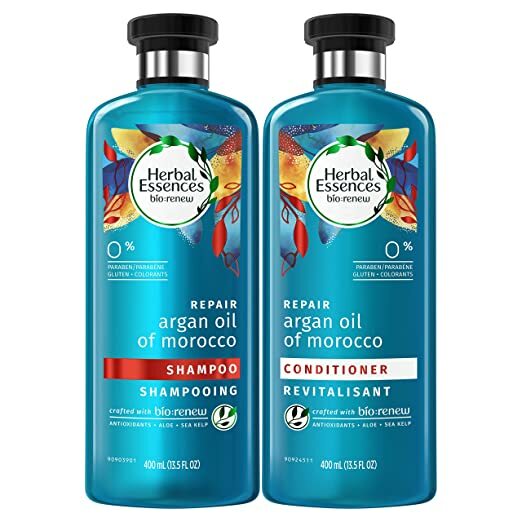 If you dye your hair regularly, don’t worry, Argan Oil of Morocco Shampoo and Conditioner are completely color-safe, meaning you can continue using it without worrying about your color washing off or leaking. If you’re looking for a shampoo that can keep your hair soft and shiny all year long, then search no further than Matrix Biolage Hydrasource Shampoo. The formulas contained in this shampoo are essential for healthy hair that shines with life. The formulas work in a way to imitate the natural properties of moisture-retaining of the aloe plant. The hair gets hydrated quickly, and dandruff-free results can be seen after only several washes. Regular use of the shampoo also helps reduce split ends, allowing the hair to grow at a natural pace and not be frizzy after blow drying. The best part of the shampoo is that the moisture levels are optimized. That said, you don’t have to worry about the high moisture levels which we have mentioned earlier to be the result of over-shampooing. The shampoo is also paraben-free, making this formula ideal for both color-treated and natural hair. A gentle shampoo that restores and repairs damaged, and breakage-prone hair, formulated to add moisture and repair hair bonds, while still delivering color protection. People who often expose their hair to bleaching and coloring know the struggles of keeping it sufficiently moist and shiny, having to regularly visit hair salons and spend excessive amounts of money to keep their hair good-looking. Fortunately, Pureology Strength Cure Sulfate-Free Shampoo allows you to spend $27 and keep your hair healthy in the long run. This shampoo boasts several features to make you fall in love with it. It optimizes moist in hair, heals dry and burned hair making it stronger, softer and shinier. Asta-Repair powers it with astaxanthin, a natural antioxidant which breaths in a new life into your hair. It also contains keravis, ceramide, and arginine which fixes split ends and makes your hair softer and more flexible. The shampoo also smells fantastic, thanks to significant aromatherapy made of lavender, honey, peach, and vanilla. The life of your hair will be extended imminently as if you have visited a professional hair salon. 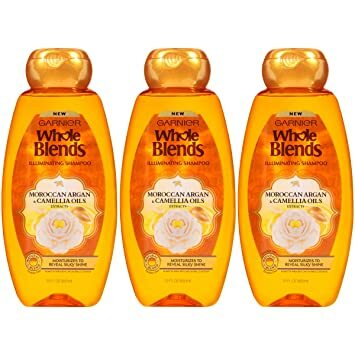 Whole Blends Illuminating Shampoo formula is blended with sustainably sourced Argan Oil known to smooth and Camellia Flower Oil known to gently moisturize. The shampoo also doesnt consist any paraben. Garnier Ultra Care Whole Blends is a jewel when it comes to choosing the best professional shampoo for damaged hair. It gets rid of the roughness, dryness, and frizz, leaving your hair in a much softer and healthier state. The formula consists of virgin olive oil and plenty of vitamin E which restores and protects the inner layers of your hair from damage caused by irons, blow dryer and coloring. While this shampoo is relatively affordable and improves the overall health of hair, effects of use won’t be seen from the very first wash. The good thing is that its quantity goes a long way while providing salon-finish hair with time. As its name suggests, this shampoo will not only cleanse and heal your heal; it will also protect your scalp from excessive sweating, maintaining a healthy state of your skin. Organic Argan Oil Shampoo for Dry Hair and Scalp uses pH-balancing Soapberry which regulates the moisture in skin and hair. The formula contains extracts of Organic Deep Moisture Botanicals, such as Argan oil, Aloe Vera which hydrates the scalp and Chamomile followed by olive leaves. To keep your hair fresh and clean, the shampoo uses wonderful Lavander scent which can be smelled for days after the washing. 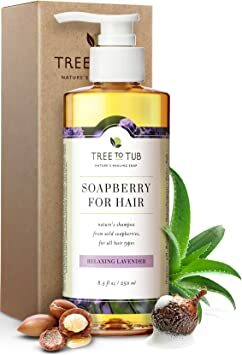 For those who pay extra attention to the environment, it’s worth noting that this shampoo comes as cruelty-free, vegan and ecosystem friendly and is suitable for both men and women, as well as children. BIOLAGE Colorlast formulas are inspired by the anti-fade properties of the vibrant orchid help protect hair, balance moisture and even out the hair’s surface for saturated, shiny, vibrant color that stays truer. Whether you frequently dye your hair or are just in need of a good formula, BIOLAGE Colorlast Shampoo is one of the best shampoos to be used on damaged hair. Using vibrant orchid properties, this shampoo rejuvenates your hair even after severe bleaching and dying. It balances moisture, by making roots less greasy and a hair less dry and more lively. It’s no secret that dyed hair loses its shine some time since the dying progress, but this shampoo will restore its shine and keep it healthy and flexible for a long time. It doesn’t only protect hair from breakage caused by bleaching, blow drying and ironing, it also heals hair from environmental damage while maintaining the color depth and tone. It’s a paraben-free formula which is great for hair that is often color treated. At a relatively affordable price and low pH value, your hair is guaranteed to look just as if you’ve just come out of a salon. 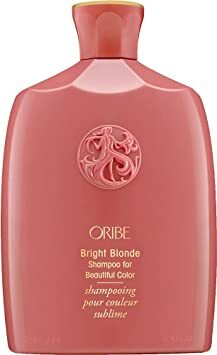 There are many shades of blonde, and each is treated uniquely, and while ORIBE products don’t fall into the most affordable category, they are key ingredients for healthy and strong hair, and ORIBE Bright Blonde is no exception. Bright Blonde, as its name suggests is explicitly made for blonde hair and equipped with violet pigments which eliminate orange highlights and brassiness and keep your hair radiant, clean and healthy. The brightening complex which consists of a lemon, ginger root and chamomile extracts optimizes the desired share and prevents color leakage, prolonging the color since color treatment. The shampoo also contains coconut and corn-derived cleansers which make the hair softer on touch and to avoid moisture loss. Also, the shampoo has multi-UV protection shields which reduce color-depleting and drying effects of the sun rays, making it an ideal summer and beach companion. The only downside is its hefty price, but the package is large enough to last for some time. The effects are almost immediate, and it won’t be too long until people around ask you if you’ve just come out of the salon. If you still aren’t sure about the problems you’re experiencing with your hairs, it’d be best to visit your dermatologist and consult with them about your problem without spending a significant amount of money. We also made sure to include the best balance between price and quality to make your quest easier. What is the best professional shampoo for damaged hair in your opinion? Share your personal favorites in the comments!